Born in 1983, Frank Riedel received in 2008 a Diploma in Music Pedagogy, studying under Prof. Daniel Gauthier, and in 2010 a Masters Degree in Contemporary Music, studying under Prof. David Smeyers at the Hochschule für Musik und Tanz in Cologne, Germany. In order to further his musical education, he attended the Habanera Academy in Poitier, France in 2006, as well as participating in many masterclasses, most notably with Otis Murphy, Vincent David, Claude Delangle, Arno Bornkamp, Nicolas Prost and Jean-Marie Londeix. Frank was a multiple prize winner in the ‘Jugend musiziert’ competition as both a soloist and chamber musician, including receiving a special prize for the best interpretation of a contemporary work. He was invited by the German Music Council to perform in Helsinki, Finland. As well as being a winner of the South West German Chamber Music Competition, he won the Culture Prize for the District of Mainz-Bingen. He has received prizes from the Worms Rotary Club, and was awarded a scholarship from the ‘Rhineland-Pfalz Future Initiative’ programme. As an orchestral musician, Frank has performed with the Südwestfalen Philharmonic Orchestra and appears on a recording of the Staatskapelle Weimar. As a member of ‘Ensemble Garage’ and an extra for the Cologne based group ‘musikFabrik’, Frank performs a great deal of contemporary music and often premieres new works. In 2011 he appeared in a production of KarlheinzStockhausen’s ‘Sonntag’ aus ‘Licht’ in the Cologne Opera House. With Forseti Saxophone Quartet he had many performances in Germany and Europe. 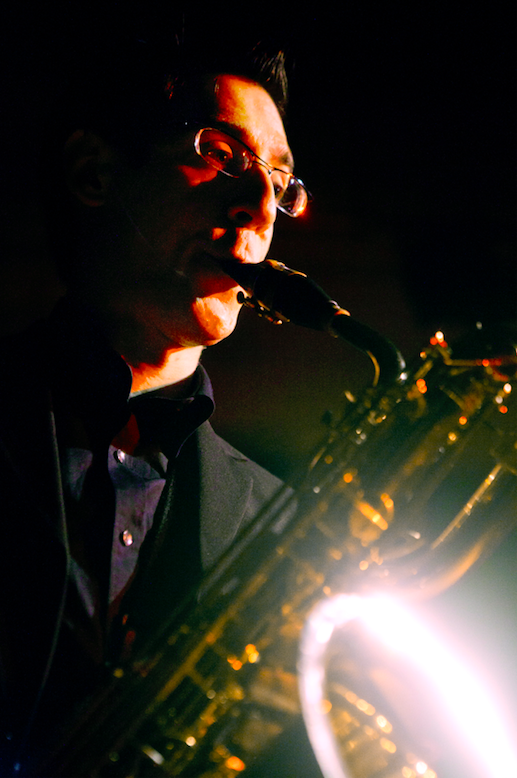 Frank teaches saxophone and conducts the wind orchestra at the School of Music and Art – Brühl. He also was quest teacher at the European Workshop of Contemporary Music and the “Junge Bläserphilharmonie NRW”.